"The best H&S tool I've found - by a long way." Save time on Health and Safety. Write Risk assessments and policies in minutes. Track your Health and safety online. The safety first system follows best practice guidance from the HSE, so you can rest assured that everything is in place. The safety first system comes pre-filled with template documents that are specific to your business activity. The system guides you through creating your H&S documents. You don't need to be an H&S expert to use it. Peace-of-mind that you've got H&S covered. The Safety First package is packed with features to make H&S management a breeze. Write and review risk assessments in just a few minutes with comprehensive template documents. Creating method statements is simple and fast, with hundreds of pre-written activities included. Training is at the core of your Health & Safety. Track what's required and what's been done in this simple database. Track PAT testing, MOTs, inspections and other maintenance information in the tools and equipment database. Toolbox talks provide on-going training for your employees, and an opportunity for employee engagement and discussion. 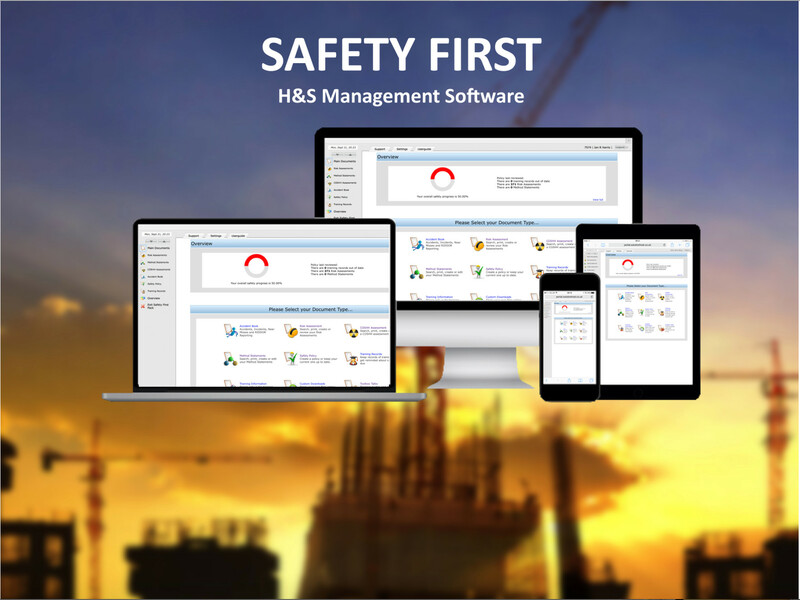 Create a comprehensive and legally compliant H&S policy for your company in just a few minutes. Carry out audits and inspection with ease. Customise audit forms and print to PDF. The comprehensive database of COSHH assessments is provided and allows you to complete assessments in a few minutes. Centralised accident and incident recording. Store your accident reports securely online. The Safety First package suits all industries and trades. Unlimited use, unlimited documents, unlimited storage. © 2015 CTC South West Limited.